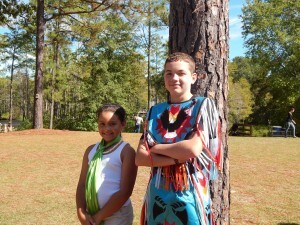 Mahala Richardson and Elijah Sheek share messages with other children about protecting the natural world. ES: The message that I would like to give kids is the natural world isn’t something that you play around with because some animals, they will hurt you if you’re not careful. And you need to care about the environment because, as I said just a moment ago, the plants help make medicine or oxygen so you really need to care for them more than you did. MR: I would like to encourage kids to save nature and save other animals in nature and care for plants because plants they produce the food for the animals so the animals can live.